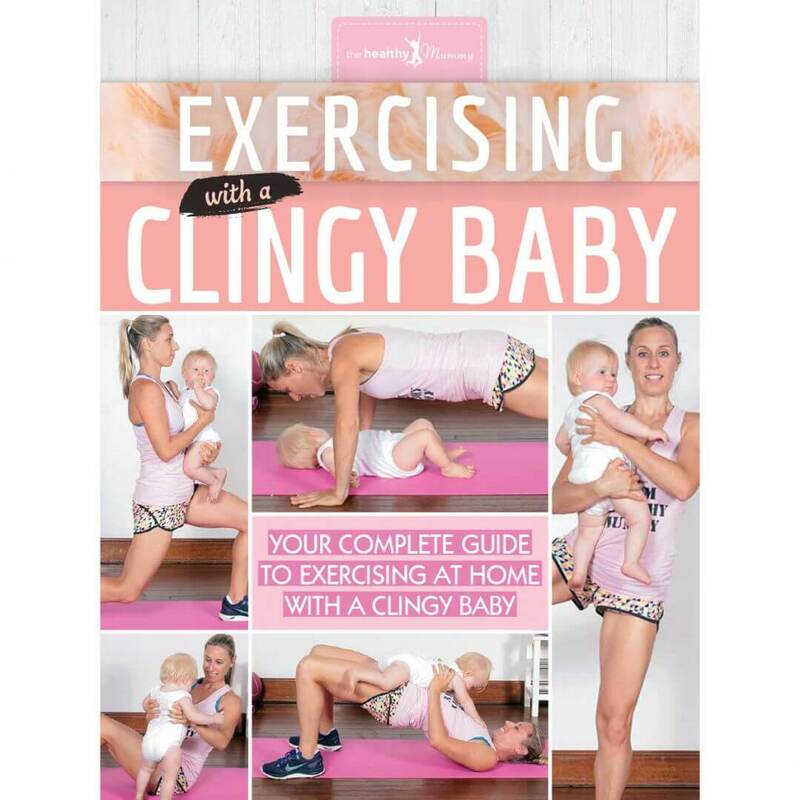 Our clingy baby exercise guide is filled with work outs and exercises that you CAN do with your little one. Your complete guide to exercising at home with a clingy baby. Whether you’re a first time mum or have a half-grown tribe, you probably know how difficult it can be to find time for yourself to do important things like exercise. Raising children is filled with responsibilities and tasks – feeding, washing, cleaning, entertaining, calming, disciplining and so on – and most of these these things are done when you’re low on sleep, juggling work, or have a little one who doesn’t want to be without you for one minute. It’s no wonder we end up putting ourselves last! Buy your copy today, or you can access ALL 40 of our Healthy Mummy books from just $10/month with our eBook membership – get more details here!